Making cheese means making whey, lots of whey. More whey than one knows what to do with. Usually I make ricotta with my whey (how-to here). I love ricotta and have a number of recipes I use it in (click links for those): as a fat substitute in biscuits and ice cream (called gelato), also in cheesecake and gnocchi (Italian dumplings). But ricotta leaves whey behind as well, more than I can used in cooking. With about four gallons of whey in the fridge at the moment, I thought it was time to try something else. I grabbed David Asher's The Art of Natural Cheesemaking and looked at the chapter on whey cheeses. Of course ricotta is always listed first, but then I saw his recipe for mysost. Mysost (my' sost) is a whey cheese made from cow milk whey. The goat version is gjetost (yeh' tohst or g tohst') which means goat cheese. It is also called brunost (brun' ohst) or brown cheese. The recipe looked simple enough with only two ingredients: whey and cream. The down side was that it called for two to three hours of constant stirring after the cream is added. Now, me and sitting still don't get along very well, so I started looking for alternatives. I compared David's recipe with the one in Ricki Carroll's Home Cheese Making. No shortening of cooking time, but it called for using a blender. That didn't seem very authentic to me, however, my own method didn't turn out so very authentic either! I used my crock pot! It solved the constant stirring problem and worked well for me. Here is the process in pictures. it begins to simmer, skim foam and set aside. Once it's simmered down a bit, the foam can be stirred back in. It's about half the volume here and the consistency of evaporated milk. one quarter of the original volume, stir in the cream. The cream is optional, but usually added to give the final product a creamier texture. scrapings melted back in & I used a little whisk to smooth them out. want to let it cook for another night, so this is where I stopped. Primost is a softer, spreadable version of mysost or getost. It's made by not cooking the whey down so far. I think it would take a bit of experimenting to learn how long to cook the whey for the desired end product. helps maintain a creamy texture. It thickened as it cooled. Norwegian gjetost is put into square or rectangular wood molds. Then it was into the fridge for overnight. The next morning the challenge was getting it out of the glass dish. I can see why the Norwegians use take-apart wooden molds! Mine was too hard to spread, but too soft to make firm, thin slices. But that's okay because it gives me experiential information for next time. sliceable cheese, plus I'll try to find a better mold. How does it taste? Heavenly! You'd never guess it was cheese! It has a tangy, nutty, slightly sweet flavor that is a delight to the taste buds. We had it for breakfast in place of our usual peanut butter and jelly on toast. jelly from our own raspberries, and gjetost from our own goat milk! Will I try it again? Absolutely! I'd like to experiment with no cream and also with using whole goat milk instead of cream, just to see the texture differences (plus I have way more whey than cream). I'd also like to try primost, the spreadable version. That might be the best option for our morning breakfast sandwiches. Gavin Webber (formerly of The Greening of Gavin) has a good video here. He adds cinnamon to his. David Fankhauser's gjetost photo recipe (no added cream) is here. Docaitta's recipe (here) used the whey from whole milk ricotta. That recipe is first, followed by the one for mysost. Also without cream. And if you would like to hear the authentic Norwegian pronunciation of gjetost, plus see Norwegian dairy goats and how they milk them (makes my back hurt just to watch!) click here.
" The next morning the challenge was getting it out of the glass dish." Do you have a spring-form pan? I wonder if you lined a the spring-form pan with parchment paper and then put in your cheese if it would come out easier. This is the perfect time of year for Gjetost...it goes great with apples (and grapes). I think it has caramel like flavor to it. Valerie, what an excellent idea! I've always like peanut butter on apple slices, but gjetost sounds even better! I haven't had gjetost in many years but it is very good stuff. Might have to pick up some on the next trip to the grocery store. In Spring, Summer and Fall, we have a farmers market here in the county three days a week. There's a lady there who sells home made cheese. She always sells what she brings and makes good money. I bet you could do that. What memories this post brought back! When we first moved up here some forty years ago, we were living on half the income we had back in Illinois. 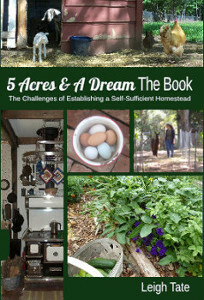 Trying to build a homestead on unimproved land plus buy need supplies was a real challenge. As a very special treat (and not done often) I would buy a small brick of gjetost cheese from the grocery store. Oh, how I loved that rich, caramel taste! 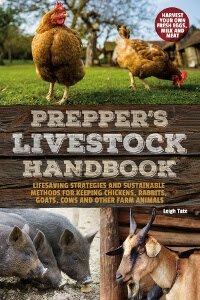 I had no idea one could make it so easily (well, relatively easy for most of the things one attempst to do on the homestead!) right at home. This was a great how-to post, Leigh. Thank you. Sue, I was completely oblivious to it until I started to research what to do with some of my extra whey. I'm so glad I tried this recipe! Rain, thanks! Which book is that? David's or Ricki's? Ricki was the one who got me started with mozzarella, but I had trouble with it until another goat keeper gave me a bunch of tips for handling goat milk for cheese. Harry, Dan's been thinking the same thing, LOL. I told him we'd have to have more goats to make enough to sell! He had to think about that one, but it is a possibility. Mama Pea, aren't there quite a few Norwegian descendants in your part of the country? I imagine they make wonderful gjetost! It would be a treat for anybody. If you ever finally decide to get those goats, you can make it easily yourself! Thursday, just before work (we're doing a show at a school) we were sitting outside and talking about the house next door that has chickens and what kinds of animals we might like to have. Matt asked about cheese. I said I knew the gist of it from you...went through the process very quickly as I knew he wouldn't copy it from me. They were impressed. Probably more impressed if they actually look up the process and saw that I was right. ;) I think for now we'll all stick to doing theater. Now I'll have to get some the next time I'm at the grocery store. we were very reluctant to try this "brown" cheese, when we were on holidays in norway many years back - but it did really taste very nice! you could always line your smaller tin/form/mold with cheese cloth to get it out? or get one of those wooden forms to make tofu? I still have one flying about here, haven't made tofu myself for many years (though the leftover okara makes very nice cookies:). having no milking animals, there's not much point in making cheese myself but I find it interesting reading nonetheless! Just LOOK at that last picture!! All your own items, from your own hard work on your own soil! How rewarding and encouraging! I know it was delicious. How interesting that cheese is! Renee, good for you! Things like making cheese are truly fascinating, and it's too bad more people don't take an interest. Paula, you know, I've never even seen gjetost at the grocery store. Of course, I've never looked! Bettina, you're getting a hurricane?! Oh my, I hope it doesn't hit Ireland very hard. The tofu mold is a good idea. I'll have to look around for one. M.K., I know! What a blessing. It's truly taught me not to take good food for granted. Perhaps parchment paper in your mold...? There's a reason home and family come first; when correctly managed, it takes time, dedication, work and lots and lots of love. So many people are ditching their crock pots for insta-pots but I for one will never give mine up. They are just too handy for situations like this. Sandra, that's an idea. Still looking around for ideas but that would work great for lifting the cheese out. Ed, you mean those plug-in pressure cookers? I hear they're great but it's definitely not a replacement for a crock pot! At least not in my book either. I use mine for making tomato sauce and apple butter as well as soups and even desserts! That way you can get fairly thin slices, preventing thick blocks with too much taste (depending on how much taste you got and like, of course), and also making the cheese last longer. Eivind, thank you! Yes, a Norwegian cheese slicer is exactly what I need. I'm off to see if I can find one, because this will be a cheese that I will make again and again.